Welcome back to another 12 Months of DIY! 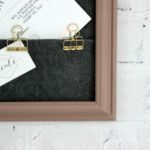 Every month I join with 11 other great Canadian bloggers to bring you great DIY projects, all using the same material. 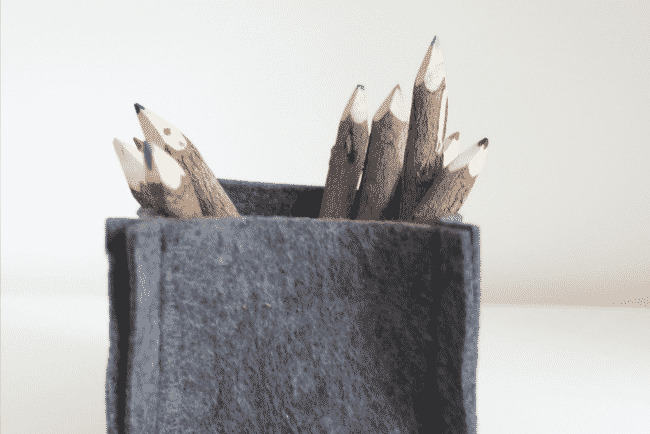 Last month I used Spray Paint to make my DIY Pencil Holder. 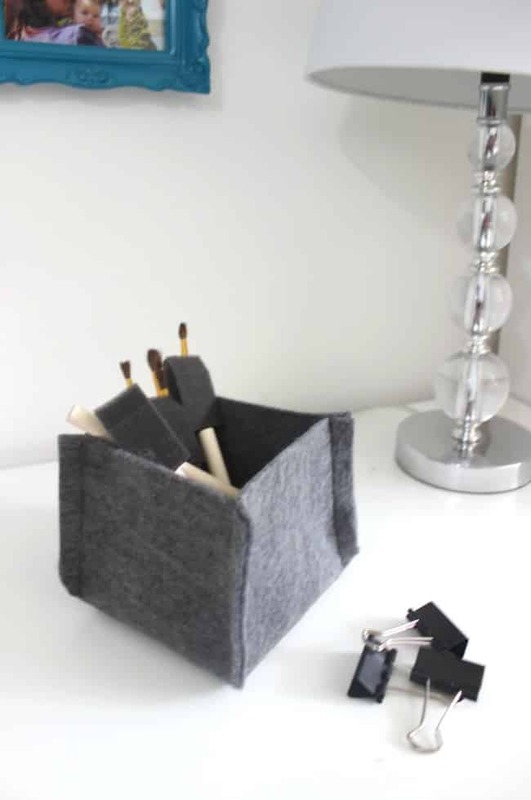 This month we are using felt, and since I always need more organizational help, I made these chic little felt baskets! 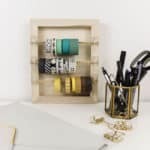 These baskets couldn’t be easier to make! All you need is a few basic items! 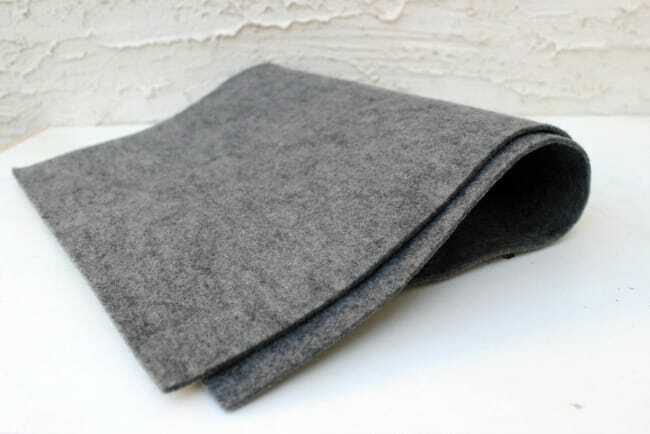 If you’ve been wondering where you can buy some of that premium thick felt, I have the answer! 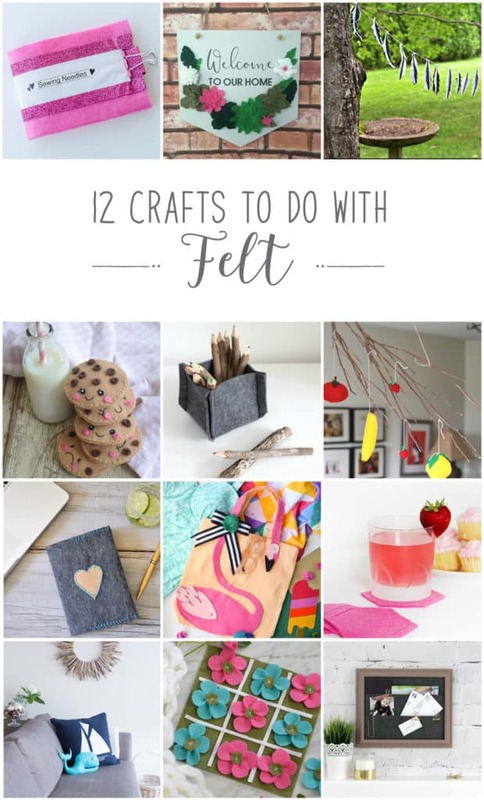 The Kunin Group sells premium felt in a whole load of colours. The quality is SO good. I can’t wait to get my hands on more for future projects! Since I’m a visual learner, I made this quick video to show you how to make your own basket! Don’t forget to subscibe to my YouTube channel for more great DIY inspiration! If you want to make a larger basket, follow the same instructions, but add three inches to the sides for each inch added. For example, my basket in the video is 3″ on all sides and I started with a 9″x9″ square. 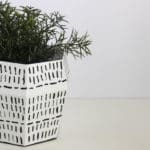 If you want a 4″ basket, start with a 12″x12″ square. The rest of the instructions are the same! Cute! Would have never thought to use felt for a basket like this. This is so super cute Lindi! LOVE it! Very cute! 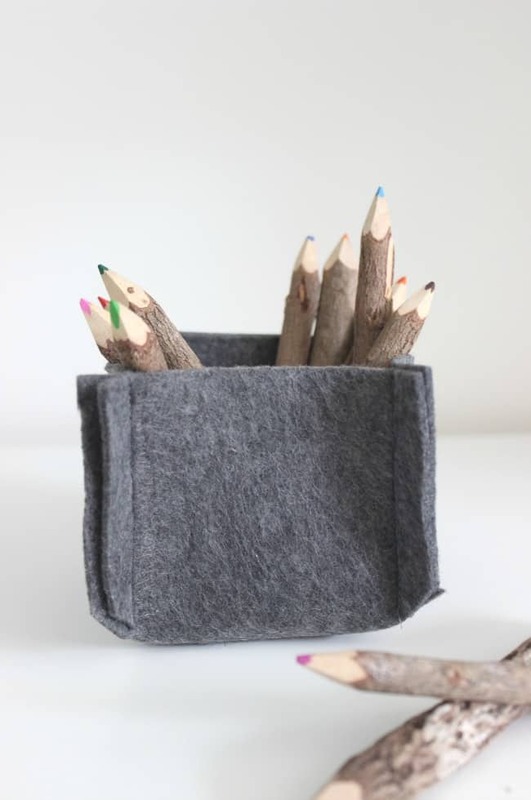 These would make awesome custom baskets too for some shelving I have, thanks for the inspiration! super cute! and I love the video!!! I always look forward to seeing what you’ll create with our challenge material each month, love this one too. Great idea, and they look fantastic. This is a great project Lindi! They look so sophisticated. Love your video tutorial too. This is awesome. It has my mind spinning with a couple other projects I want to make. I think this felt would be great for an ipad cover, but also maybe baskets for our bikes. HMMMM….. so many possibilities. OK, question for you. Would it be more complicated to make it out of separate pieces and sewing the bottoms together? 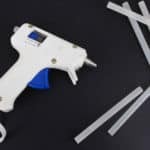 I am just wondering if that would save on material (less waste) if you were making a larger size? 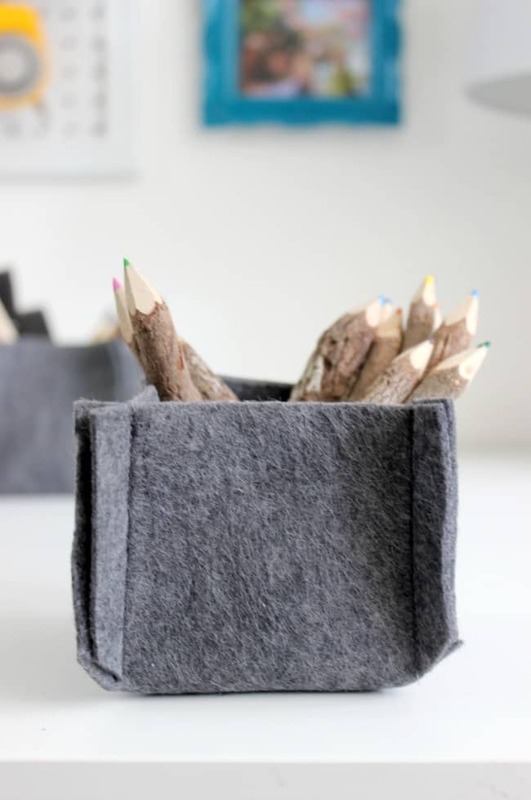 I love your DIY Felt Baskets! 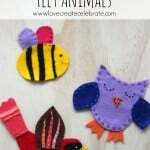 Your video made them so easy to make and they look fabulous as well as are super handy. The storage possibilities are endless! 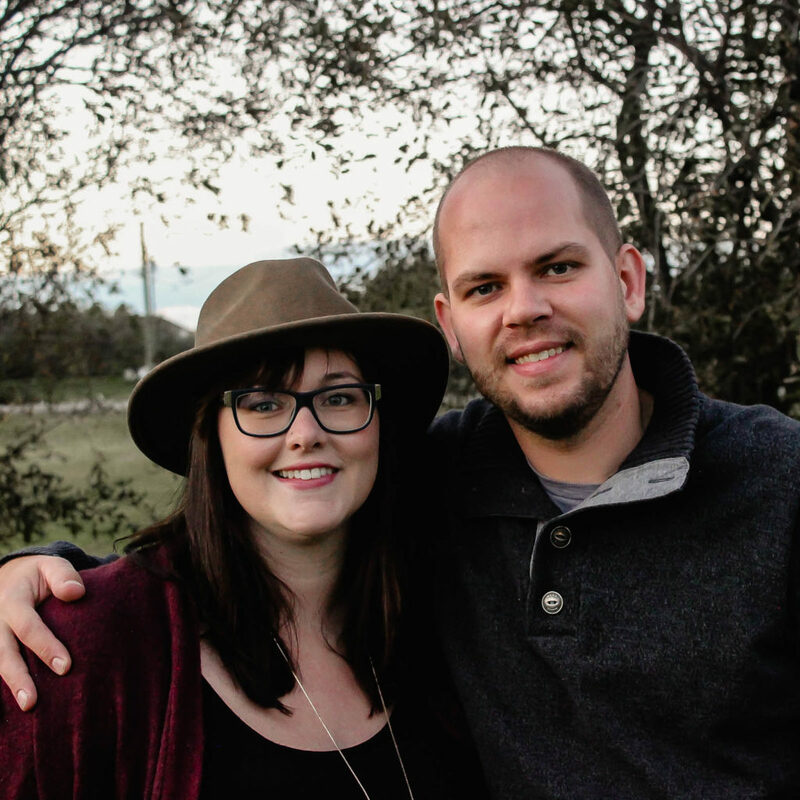 I love your photography in the blog too! Simply stunning work! 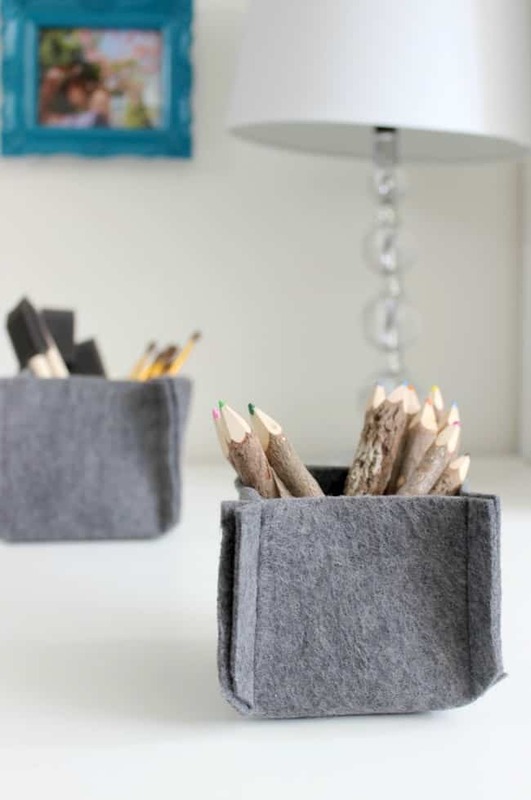 These baskets are definitely chic and stylish in the neutral grey felt. 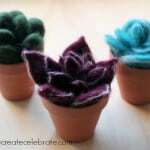 Would love to see these in my craft room! 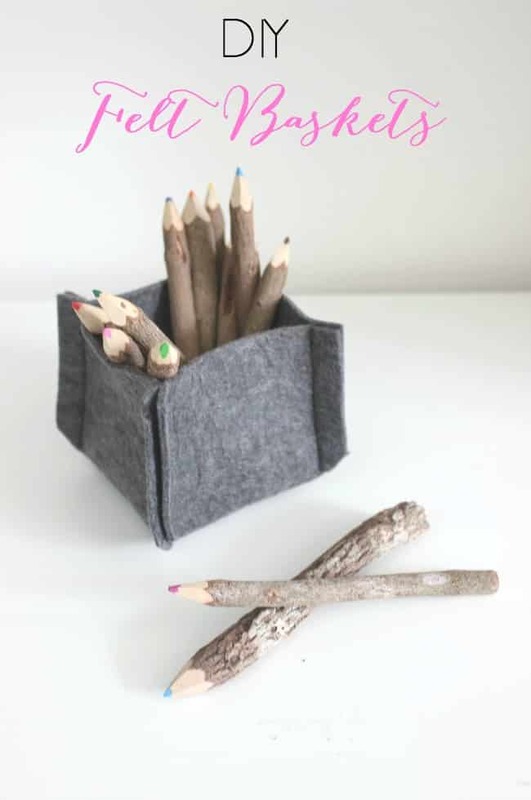 Oh and those bark pencils! Where did you get those? Love these! Yep, I am so making these for myself. Great idea! This turned out so great!! I love that it’s an easy project, but it looks SO good.